There it is, in story after story. Of the 6 stories on the front page of the NY Times today, 3 of them start their third paragraph with “But.” Two others clearly have the ABT structure without using the word “but.” The last one has an AAA (and, and, and) opening leading to a summary statement. When will journalism programs start teaching the ABT? 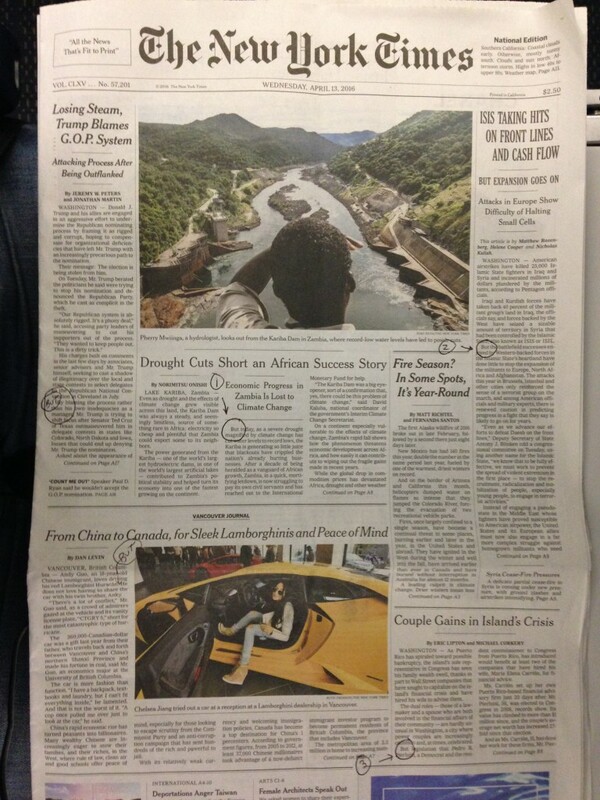 Like it or not, it’s right there in plain view on the front page of the NY Times. I’ve been noticing this for the past few months. Pick up any issue of the NY Times, look at the stories on the front page and you’ll see the ABT structure, loud and clear. Are the writers and editors consciously following the ABT Template as they craft these articles? Of course not. They just all have deep “narrative intuition,” from countless years of writing and rewriting stories. This is what happens — you work on the narrative part of your brain for enough years, it eventually takes this form. Once you have narrative intuition I think there’s a tendency to assume everyone see things the same way as you. I call this “narrative elitism.” It’s the “let them have cake” attitude of writers towards those who have never really developed the narrative parts of their brains. I’m making this stuff up as I go along, but I think I see the exact parallel of narrative intuition with what could be called “IMRAD Intuition.” The IMRAD Template (I – Introduction, M – Methods, R – Results, A – And, D – Discussion) is the narrative structure forced on scientists by almost every journal. Virtually every working scientist has IMRAD intuition. When they sit down to start writing a research paper they don’t need to look at the “Guidelines for Writers” that every journal provides. In the Guidelines they would be told that they must shape their paper into the four standard sections. They don’t need their brains to know that — it’s already present in them at the gut/intuition level from so many years of reading and writing these papers. In fact, it is programmed so deeply into them that they don’t even know there’s a name for the structure. As I tell about in “Houston, We Have A Narrative,” when I asked huge groups of scientists how many knew what IMRAD stands for, less than one percent raised their hands. This turns out to be the same thing with journalists. I’m sure if I asked a large group of them how many know the ABT, almost no one would raise their hands. Yet when I explained it they would all say, “Oh, yeah, that thing.” Just as scientists do with the IMRAD. 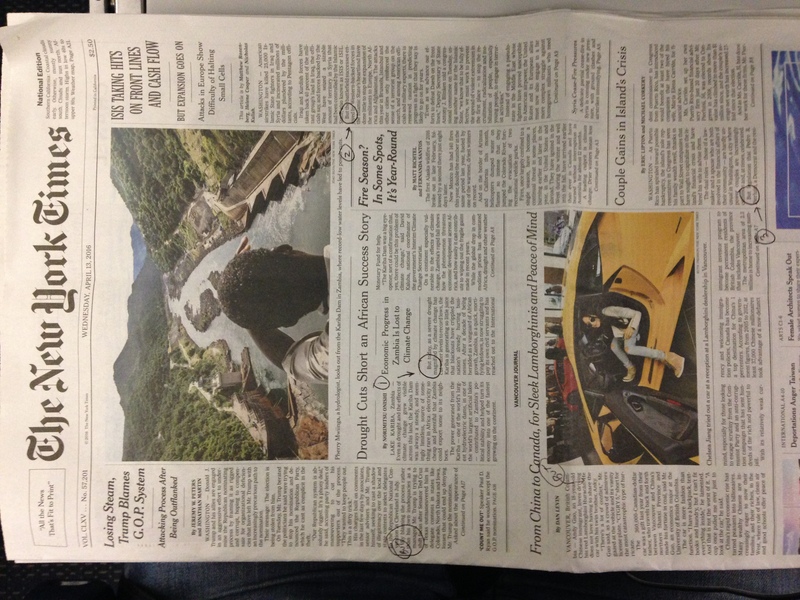 And so there you see it, on the front page of the NY Times — the ABT structure, over and over again. As a result those stories are never boring or confusing. Which means that if scientists could absorb the ABT structure as deeply as the IMRAD there would be an end to boredom and confusion in the communication of science.